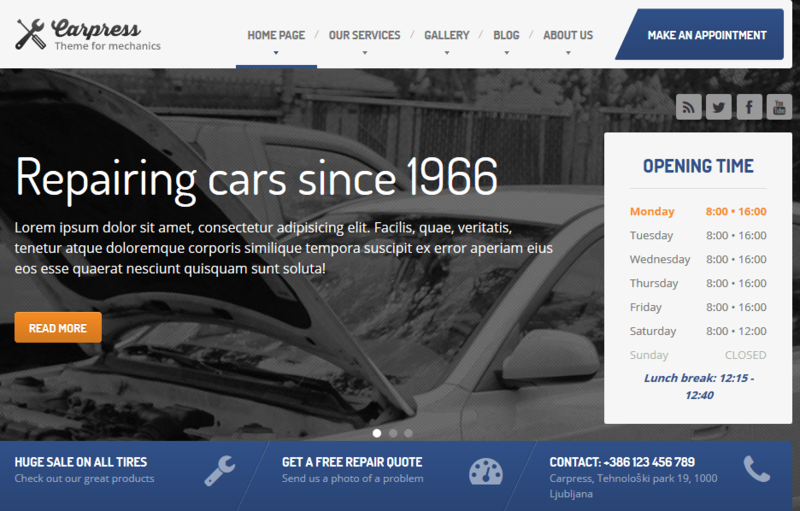 Auto Car: a responsive theme for garages, mechanic workshops, and other car-related businesses. It has a drag & drop page builder, a responsive design, and WooCommerce integration. It offers 960, 1140 or 1260 max resolutions. Carpress: a professional theme with unlimited colors and layouts, WooCommerce support, and a responsive/retina-ready design. It is ready for internationalization. 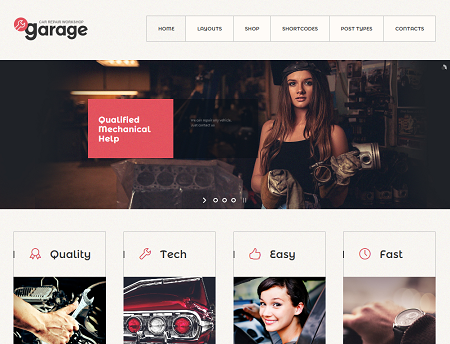 Garage: a car repair workshop theme with WooCommerce integration. You can use it to create one-page websites. The theme ships with Layer and Revolution sliders. 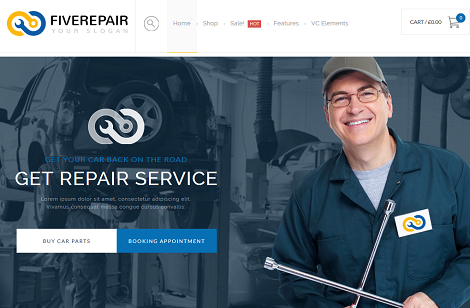 456Repair eCommerce theme: an elegant theme for repair shops. The theme is Visual Composer and WooCommerce integrated. You get Logo Carousel, LayerSlider, WooCommerce Shop Assistant, and many more premium features. 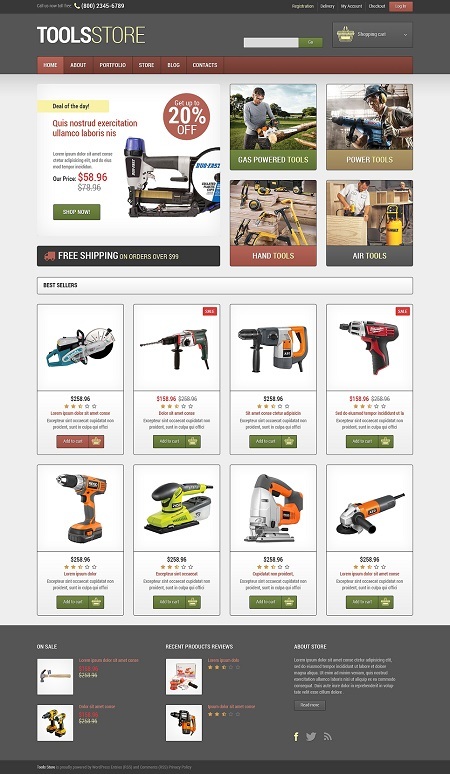 Tools & Equipment: a Jigoshop theme with a responsive design. It is powered by Cherry Framework. The theme is ready to be translated. 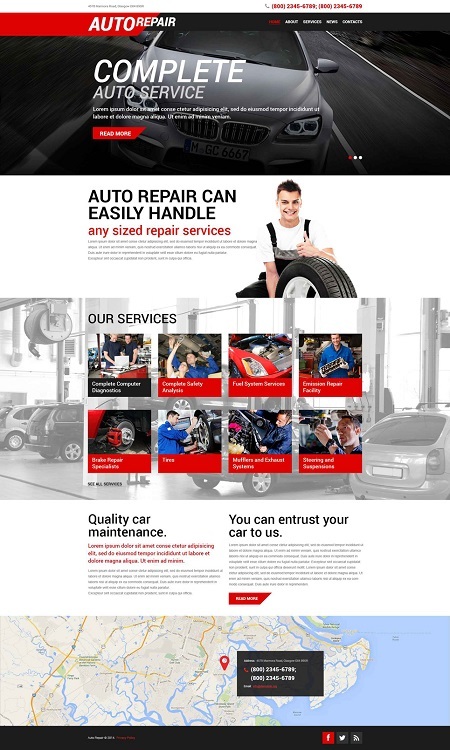 Auto Repair: another responsive theme with blog/portfolio functionality. It is built with Bootstrap and powered by the Cherry Framework. You also get a lazy loading effect. 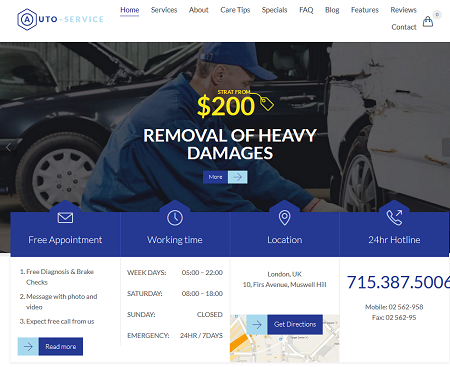 Have you found better-looking WordPress themes for mechanics and car repair shops? Please share them here.